When it’s time to move to or from Castro Valley, we’re the portable storage provider you should call. We take the stress and hassle out of relocating and let you decide the pace of your move that fits for you. You can do it all in one day or take your time with the move in Castro Valley. When you sell your home, you aren’t always ready to move right into your new location. Maybe you have to live in an apartment while you search for your dream home. Maybe you just aren’t ready to move yet because your new job hasn’t started but your home sold faster than you thought it would. Whatever the reason, you now have to figure out what you’re going to do with all your stuff while you’re waiting to make the transition. You can move it all, but then you’d just have to move it again in a few short weeks or months. With UNITS moving and portable storage in Castro Valley, you can pack and store your belongings when you are ready to make the transition. Our portable storage in Castro Valley Units can be stored at your temporary home, or we can store them for you. When you’re ready, we can move the Unit to your new home. 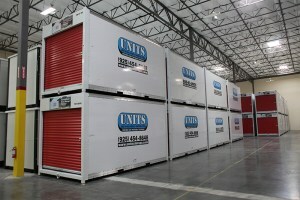 The Unit also provides an easier solution for relocating, even if you don’t need the temporary storage. Instead of rushing to load up a rental truck and get to your destination before you’re charged more, you can pack at your leisure. You can take the entire weekend or even a whole week. You don’t have to worry about having everything ready by a certain date for the movers. You just pack at a pace that’s convenient for you, and then you call us when you’re ready to have the Unit moved. Units are available for homes and businesses in the Castro Valley area. UNITS Moving and Portable Storage is a locally owned business, and we are committed to providing the best customer service. The owners have been living and working in the area for 20 years, and they are dedicated to building a strong legacy in the community by creating a reputable business with a valuable service. 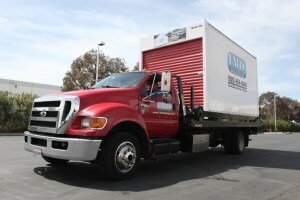 We take great pride in being the top portable storage company in Castro Valley. Whether you are looking for an affordable and convenient relocation solution or you need a clean and modern storage option, UNITS is the solution in Castro Valley that takes the stress away for you. Our storage facility is secured by a state-of-the-art monitoring system that includes motion sensors and fire alarms. Our units are also constructed to resist moisture build up that can lead to water damage or mold. Your most valuable possessions will be safe with us. We further reduce the risk of damage to your valuables by using an innovative loading system that does not require ramps. Call us for all your Castro Valley portable storage needs today to find out how we can help you.